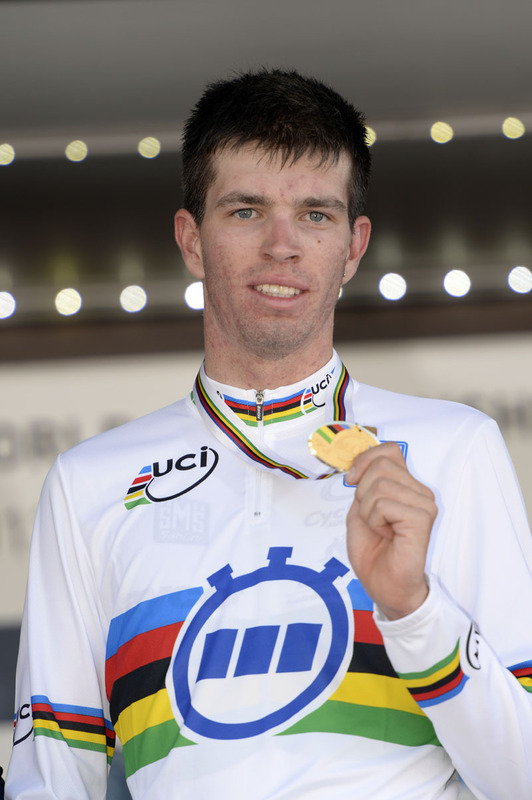 Damien Howson closed his amateur career with a World Championship gold medal in Florence today. 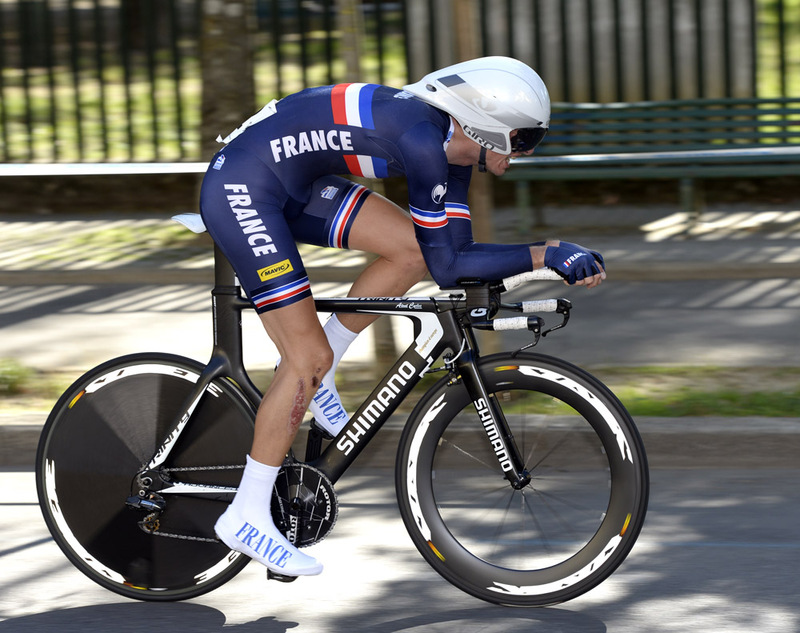 The Aussie, soon to be riding with home team Orica-GreenEdge, won the under 23 time trial ahead of France’s Yoann Paillot and Denmark’s Lasse Norman Hansen. The 21-year-old sat flanked by his rivals in the press conference, both pleased with their medals even if not gold. Howson topped Paillot’s provisional best time by 57 seconds. Favourite Hanson finished last, 1-10 minutes behind Howson. 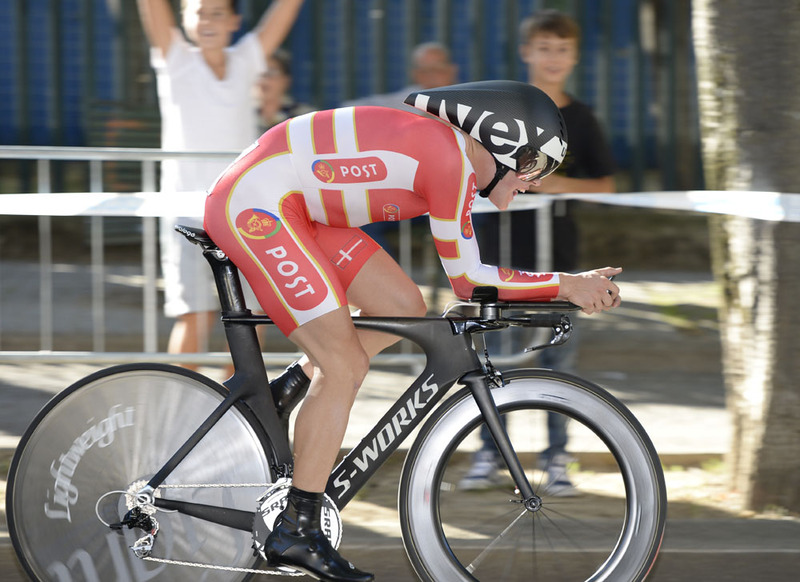 As with the women’s team time trial yesterday, the Under 23’s 43.49-kilometre course began in Pistoia and travelled southeast to Florence. 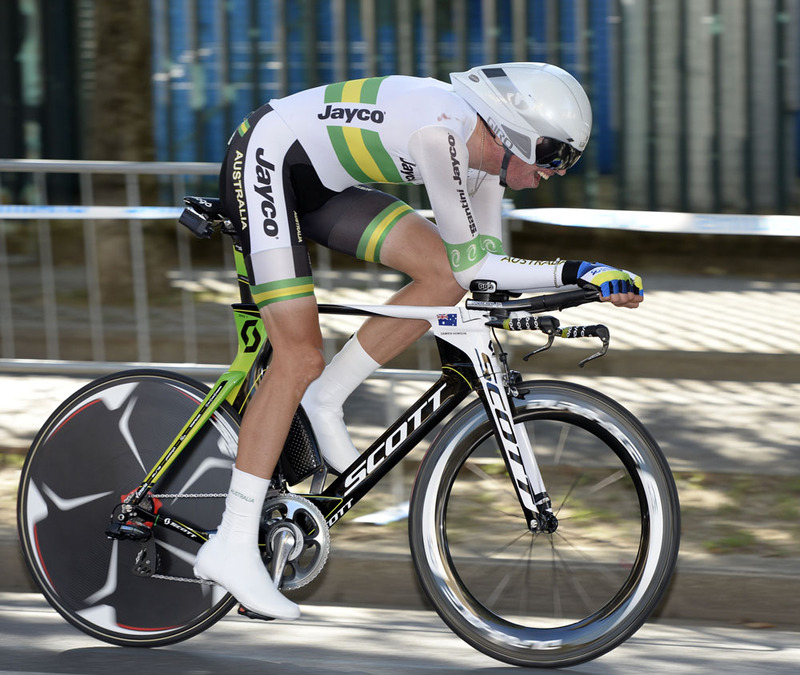 Howson clocked 49-49.97 minutes, averaging 52.326kph. He managed his power over the technical run through the city of Dante and Renaissance. No British riders took part in the event.